I’ve recently been working with the “RSVP™ Selling” sales methodology developed by Tony Hughes. 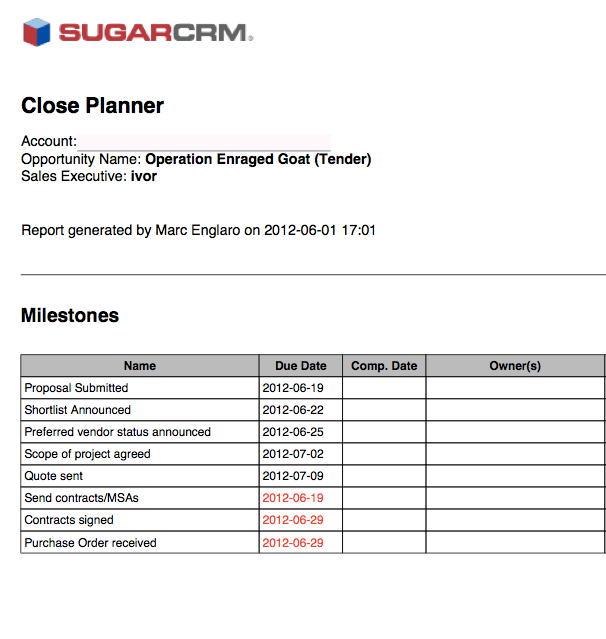 In particular I’ve been observing a team use the RSVP “Close Planning” tool which Insightful has recently implemented as an add-on module for SugarCRM. The Close Planner is designed to allows a sales rep to define an schedule all of the key milestones required to get a sale across the line to completion. 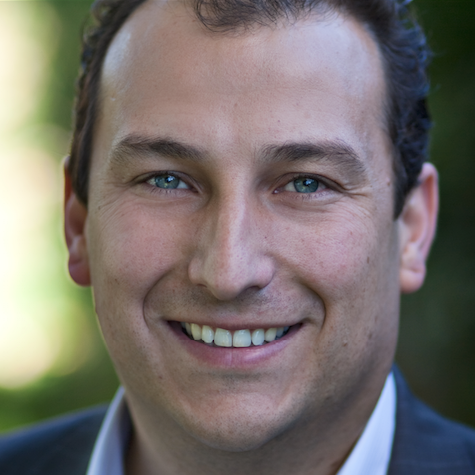 The power is in drawing attention to the serial nature of the many decisions that need to be made in a sales process, and so provides a more objective assessment of the forecasted close date. The following is an example of the Close Plan PDF document produced for a particular opportunity. The red dates, highlight a scheduling conflict in the order in the milestones, and suggests that the close dat on this opportunity will be later than initially thought. I’ve been observing the process of a team of sales executives discussing with their managers the steps required to close their key sales. Almost invariably, the sales rep’s initial forecasted completion date was over-optimistic when they were first asked to define and schedule the list of steps they still needed to achieve. b) put a realistic schedule on it.